This 30 minute class is jam packed with exercises designed to target the abdominals, the back, glutes and arms. 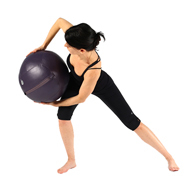 Each class includes use of the big ball, toning balls and squishy med ball. Side Abdominal/back work help smooth love handles and improve posture. Always lots of fun as we bounce and balance to music. To Register: Simply click the link beside the class you would like to join. You will be taken to a secure checkout page. Once paid you will receive a receipt and a welcome message from us!There are no make up classes, credits or refunds for missed trial classes. The 30 minute workout is a fun, upbeat class that will challenge your whole body. Exercises are taught to music incorporate big balls, small balls and med balls throughout the workout. The syllabus was designed exclusively for Pilates North’s clients. Keeping with our “signature” style of classes, the CoreBall classes provide another unique way to help clients attain their fitness goals. The exercises target Abs, side abs, back and arms. Where are Pilates North CoreBall Classes held? Most classes are held at our Studio at our studio 6 Scott Drive Unit 201, Richmond Hill, Ontario (just north of 7 off Yonge Street) We also provide offsite training for sports groups/teams.It’s great that you offer Trial classes but what happens next? 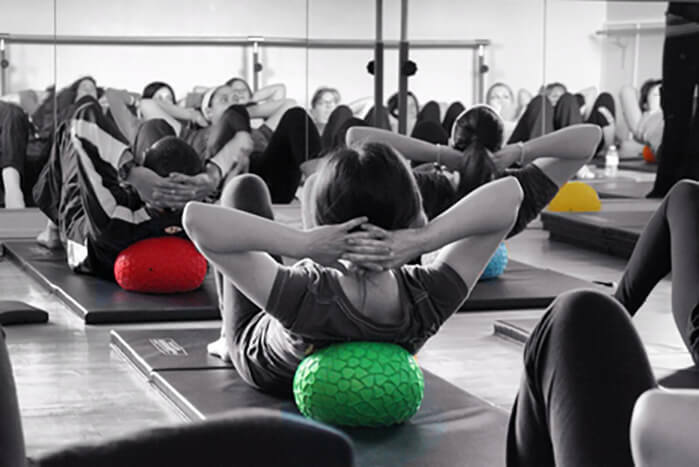 The 4 week classes are offered as a way to introduce you to the studio and our method of training your core with balls. If you are enjoying the CoreBall workout you are welcome to sign up for our ongoing sessions which run in 8 week cycles. Before your trial ends we will provide you with available days and times which have space and can help you choose a class that works with your schedule.How many CoreBall classes should I take in a week? Of coarse you can. The movements are functional for everybody. We do suggest that people who are new to fitness and our studio also join in on a Pilates class. Pilates is a great way to learn proper form, and core work that provides an excellent base for all of our signature classes.I have a med ball, can I learn a home routine? The great thing about the Coreball class is that it is portable. Many people who have their own equipment can feel stuck in their workout or need correction on form. Attending one of our CoreBall classes can provide you with a routine that you can mimic at home or if you prefer you can book a private and learn the exercises one on one.I have more questions is there someone I can talk to?